When a homeowner refinances, he or she pays off their current mortgage with the proceeds from a new mortgage. The homeowner then has a new mortgage, with a different interest rate, terms, and typically, a new lender. Homeowners refinance when they can get a mortgage with a lower interest rate because either the mortgage lending market has changed or the individual has improved his or her credit score and is now eligible for a lower interest rate. Homeowners also refinance their mortgage because of a change in income. With a higher income, the mortgage holder can reduce the length of their mortgage, from 30 years to 15 or 20 years. While this results in higher monthly payments, a shorter term reduces the total cost paid over the life of the loan. Homeowners who have a reduction in their income can increase the length of their mortgage, resulting in more affordable monthly payments and the possibly of “cash-out”, money from the existing equity in the home. Individuals also may refinance to obtain a fixed rate mortgage, with predictable monthly payments, as opposed to an adjustable rate mortgage. Typically, the refinance process is similar to the process of getting a first mortgage; credit ratings are checked, income is verified and the home is appraised. Streamlined programs available to certain individuals, such as people who have an existing VA mortgage, may waive some or all of these requirements. When Is Refinancing Not Worthwhile? Refinancing is generally not worthwhile for homeowners who have a pre-payment penalty or who do not plan to move within the next several years. There are costs associated with refinancing; homeowners who only have a few years left on their mortgage usually will not save enough money by refinancing to make the cost of a refinance worthwhile. Refinancing is worthwhile for homeowners who have at least 10 years of a 30-year mortgage left to pay, if the homeowner can qualify for an interest rate that is at least one percent less than what he or she is currently paying. Homeowners should always talk with a trusted financial adviser before refinancing their existing mortgage to determine if the savings will be worth the cost of the refinance. It is an excellent article on the basics of refinance. 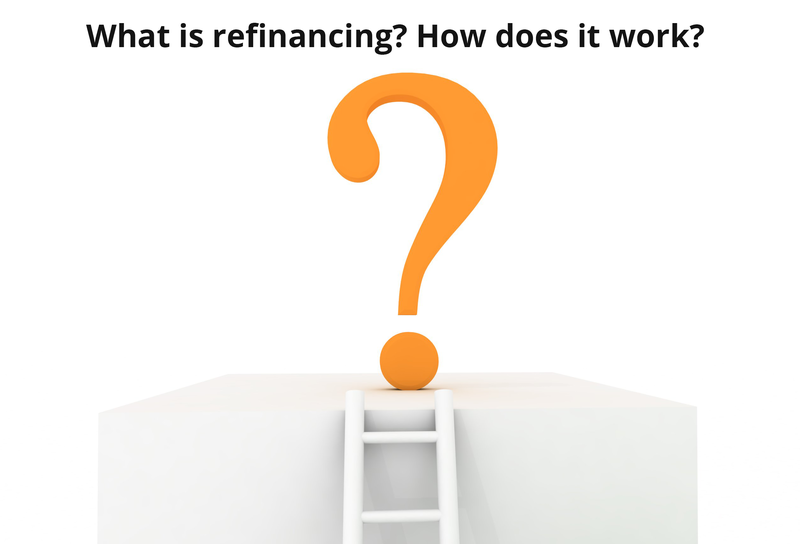 The article has talked about what refinance is all about, how refinance works, when refinance is worthwhile and when refinance is not worthwhile, in a very simple way. If one reads this piece carefully, the basic idea on refinance will be very much clear to him or her. Here, I want to add that despite the fact that refiance offers several benefits but you need to opt for it only after carefully understanding the pros and cons of it. Refinance is just like taking out a new loan. All the costs of taking out a fresh loan are applicable here too. Before opting for refinance, you need to take this cost factor into consideration.